Experiences have lessons hidden in them. Its like our video games! Swallow the power pills and you go to the next level! 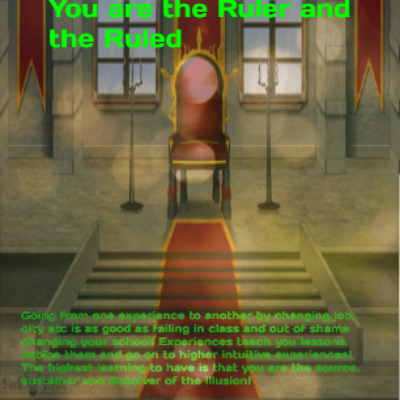 Here too your here to learn that you begin the journey as the one who is ruled and as you learn from your experiences and grow in selflessness your entrusted with higher knowledge that eventually leads you to realise you are the ruler and the ruled!